Ground covers are plants that you can use to fill in the gaps in a landscape. Easy to care for and naturally aggressive, the best ground covers spread quickly without totally dominating a landscape. However, with the myriad number of ground covers out there, finding the right one for your Maryland home can prove difficult. 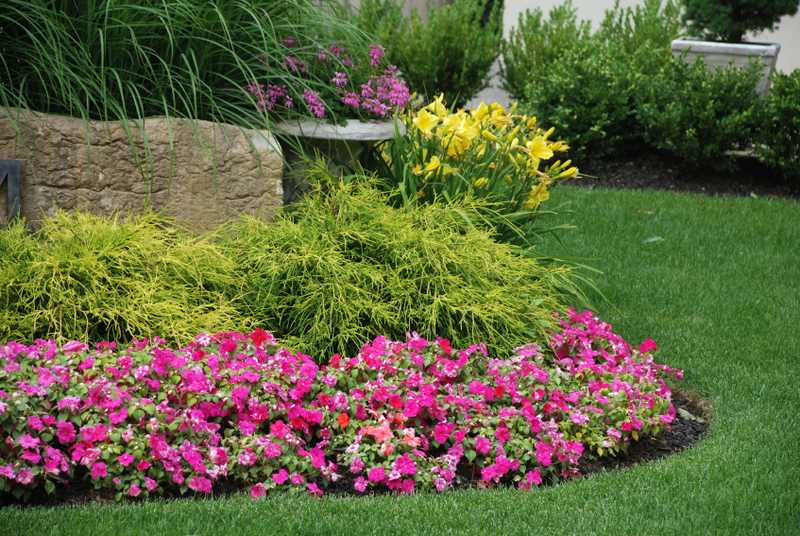 That’s why the Atlantic Maintenance group is here with a list of some of our favorite, and most durable, ground covers. With bright red berries and a lovely texture, Cotoneaster horizontalis, aka Rockspray coroneaster, is technically a shrub that is often employed as ground cover. Reaching a maximum size of 3ft tall, rockspray cotoneaster does require a little trimming to maintain but spreads quickly and offers a beautiful, ornamental appearance. No, not catnip, catmint! Although they are related, six hills catmint is flowering ground cover with a stunning purple hue that blooms in late spring/ early summer. It’s a great ground cover that readily attracts butterflies and hummingbirds, while resisting annoying deer. Lamb’s ears isn’t exactly a short plant if you count its flower spike, which tends to reach around 1.5 feet. However, the flowers aren’t what makes this ground cover remarkable: it’s the velvety, green leaves. Lamb’s ears make an excellent ground cover because of their leave’s softness, which are just as touchable as the plant’s namesake. It also boasts beautiful, silver foliage. Creeping Junipers, evergreen and well-textured, are, like the cotoneaster, technically shrubs. However, they don’t grow as high, preferring to stay low to the ground and hug the surface. In addition to looking good, they are great at stopping soil erosion and will look great year round. Like lamb’s ears, Silver Mound Artemisia has silver foliage. However, it has no floral spike to prune back, making it great for growing in the sun. It also has a different visual texture, with a very fine, granular appearance. While the difference is subtle, Silver Mound Artemisia offers a great alternative to lamb’s ears. Want a Landscaping Company that knows its Ground Cover? Call the Atlantic Maintenance Group. The Atlantic Maintenance Group is a full service landscaping company, providing maintenance, design and construction, as well as snow removal, asphalt and concrete services. This entry was posted on Friday, January 16th, 2015	at 3:24 pm	and is filed under Blog, Lawn Tips	. You can follow any responses to this entry through the RSS 2.0	feed. Both comments and pings are currently closed.